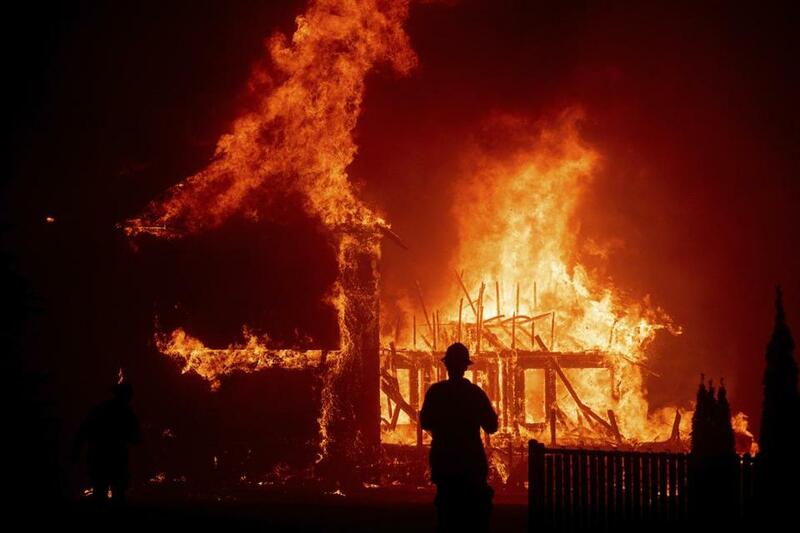 A home burns as the Camp Fire raged through Paradise, Calif. Rural areas fared little better. Many homes have propane tanks that were exploding amid the flames. ‘‘They were going off like bombs,’’ said Karen Auday, who escaped to a nearby town. ‘‘Pretty much the community of Paradise is destroyed. It’s that kind of devastation,’’ he said. 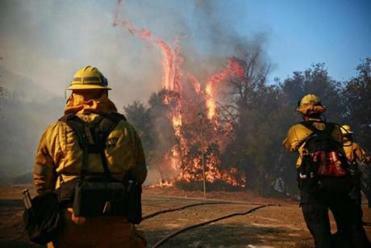 While the cause of the fire wasn’t known, Pacific Gas Electric Company told state regulators it experienced an outage on an electrical transmission line near Paradise about 15 minutes before the blaze broke out. The company said it later noticed damage to a transmission tower near the town. The utility’s filing was first reported by KQED News. ‘‘It was just a wall of fire on each side of us, and we could hardly see the road in front of us,’’ police officer Mark Bass said. ‘‘There are times when you have such rapid-moving fires ... no amount of planning is going to result in a perfect scenario, and that’s what we had to deal with here,’’ Honea told the Action News Network. ‘‘They are fine,’’ she said.